Another tip: serve them cold (like in potato salad!). 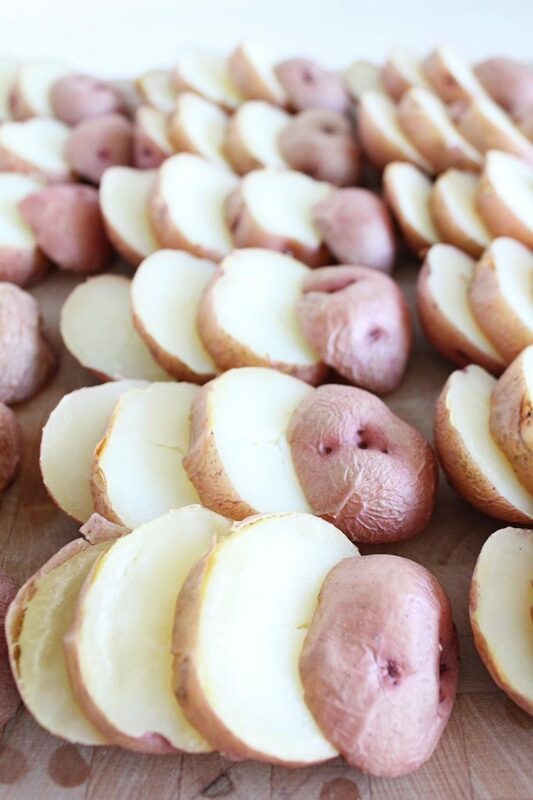 When cooked potatoes are chilled down, some of the starch turns into ‘resistant starch’, which acts like soluble fiber, traveling down to your large intestine and feeding your friendly intestinal bacteria. This can improve your overall digestion (keeping things moving) and helps to keep your digestive system happy. And since they’re potatoes, which taste effortlessly awesome, everybody wins. 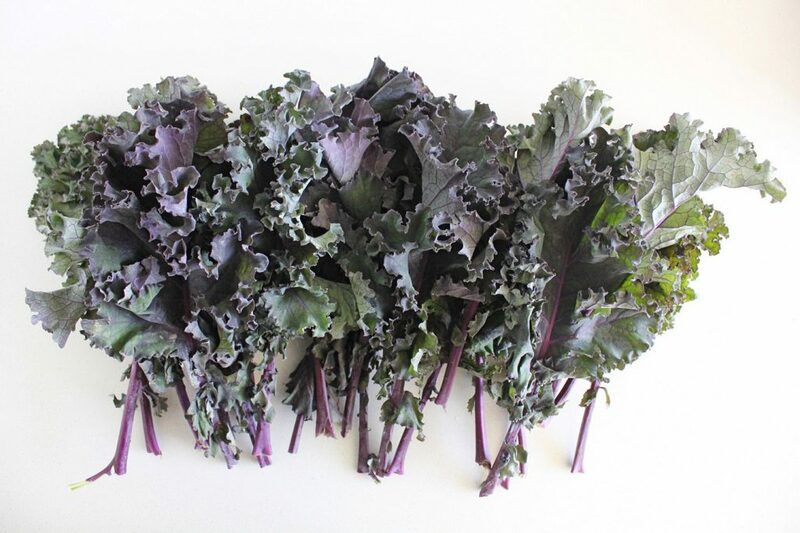 This salad is equal-ish parts raw kale and may not be something I would serve someone who is feeling nauseous and anti-vegetable. FYI, among other things, I would probably just try cold baked small potatoes (higher skin to flesh ratio), maybe tossed in a little bit of extra virgin olive oil. 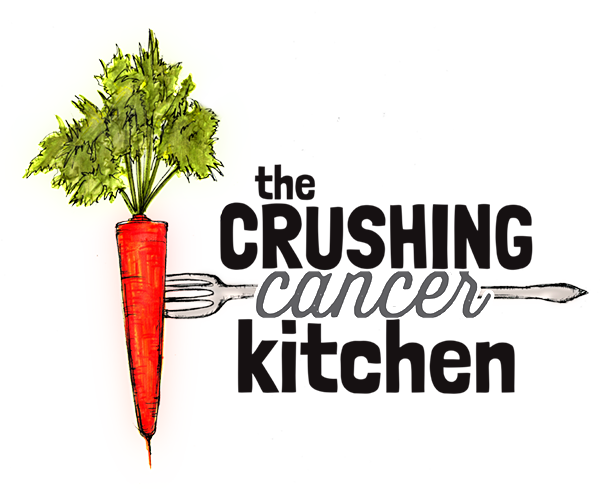 But for the rest of the time, all of that kale offers up a ton of fiber (and, like, all of the nutrients and cancer crushing powers, as we know), balancing out the glycemic load of the potatoes. Meanwhile, the potatoes in this salad act like the fruit in a green smoothie, sort of making you forget about the greens. 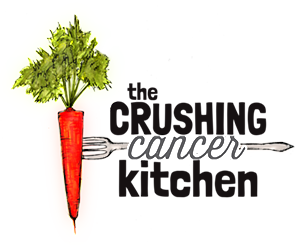 If you love kale and don’t need a potato to convince you of that, you will still love this salad and will now also be able to embrace that resistant starch ‘feastival’ for your beneficial bacteria, happening in your large intestine. Sunchokes (aka Jerusalem artichokes) would make a good sub for the potatoes in this recipe, if you are looking for a little more nutrient-density. 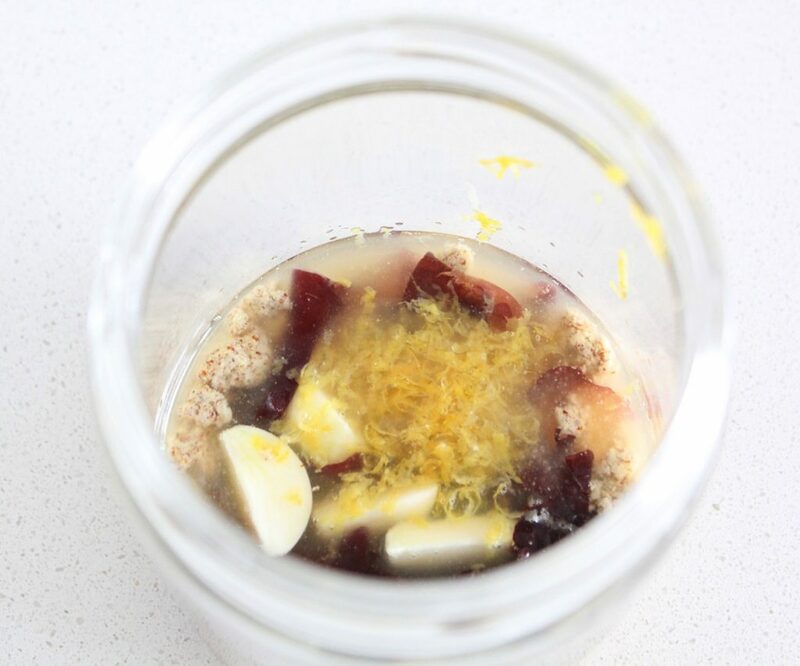 They taste equally comforting and are full of prebiotics, which also act as food for your beneficial bacteria and are therefore great for your digestion. If you’ve never tried them, I recommend you start with a small amount, as sometimes that party in your intestines can get a little bit out of control, if you know what I’m saying. No? I’m talking about some craaazy gas. 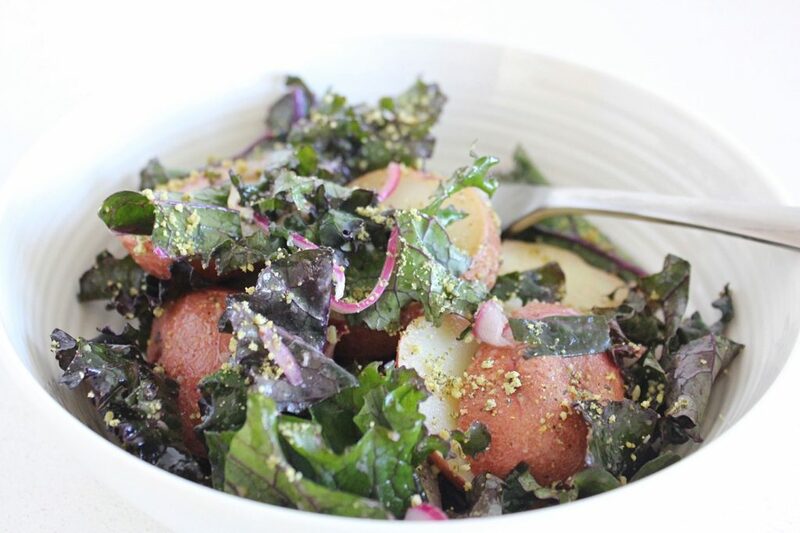 Top off this 3 ingredient salad with a little bit of this homemade Parmesan Cheese, and you will have a balanced, healthy and delicious potato salad worthy of all summer potlucks and spontaneous beach picnics. 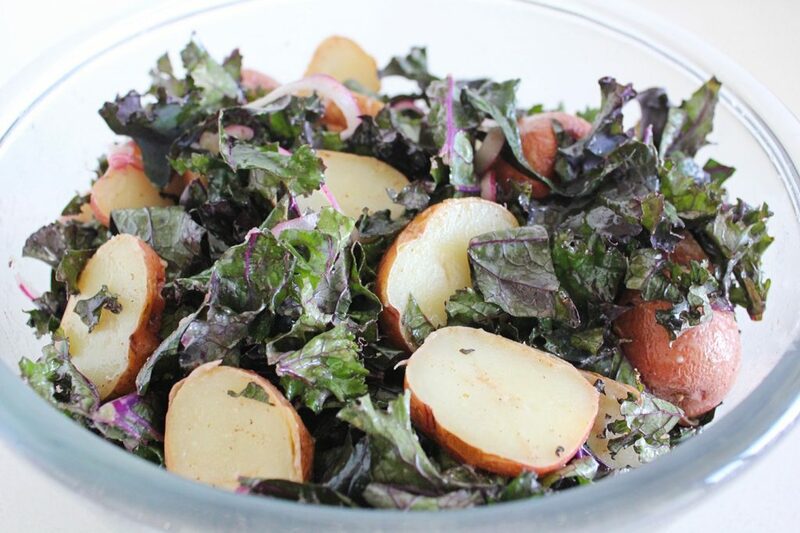 For a good time try this Summer-y Purple Potato Salad or the infamous Potato-free Salad too! 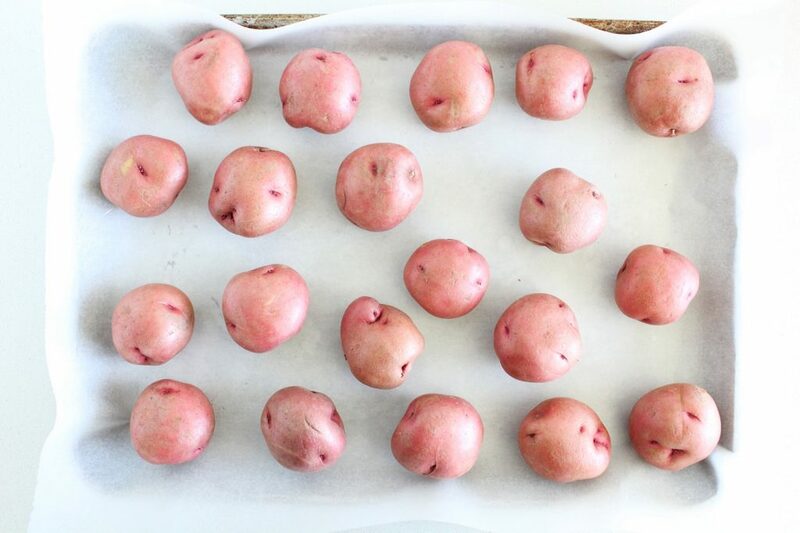 On a parchment-lined baking sheet, spread out the whole potatoes and stab them with a small knife or fork. Bake for 45 minutes to an hour or until cooked through (time will vary depending on the size of your potatoes). 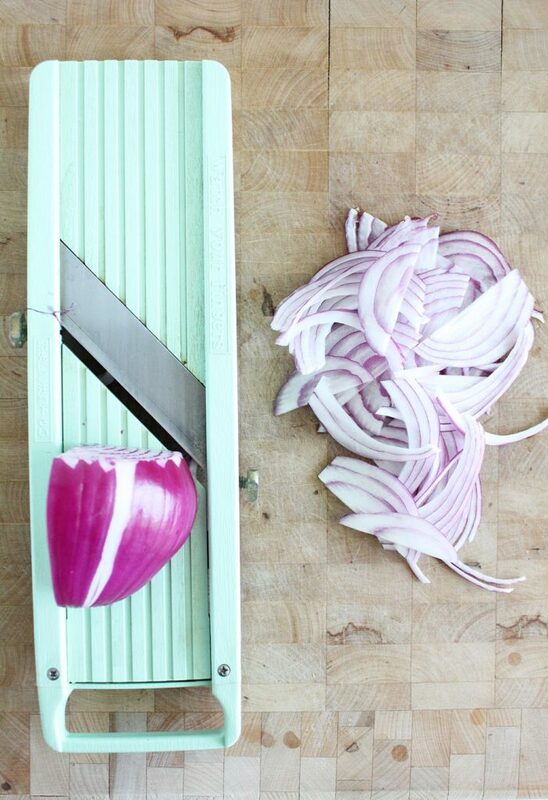 Wait until they cool slightly and slice into 3-5 rounds each (about ½ inch slices). 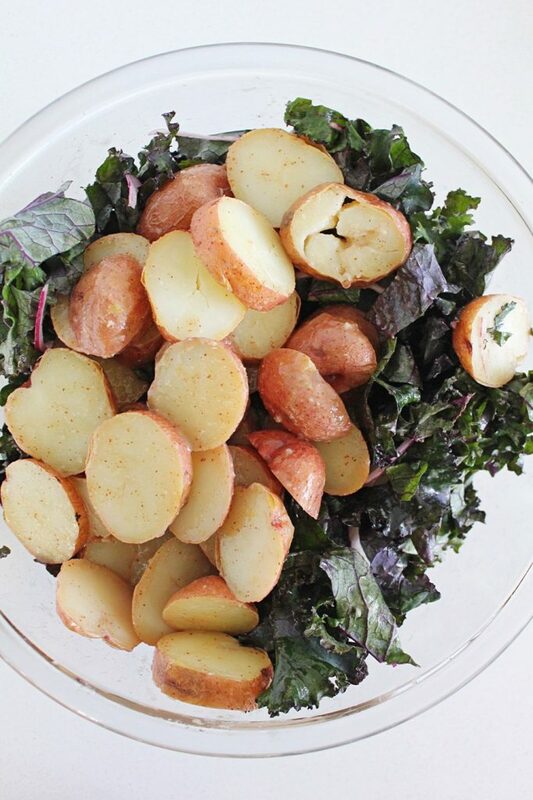 Toss the potatoes with the dressing and season with sea(weed) salt to taste. (Try to do this while they're still slightly warm, or at least not yet fridge-cold, they'll absorb the flavour better this way). 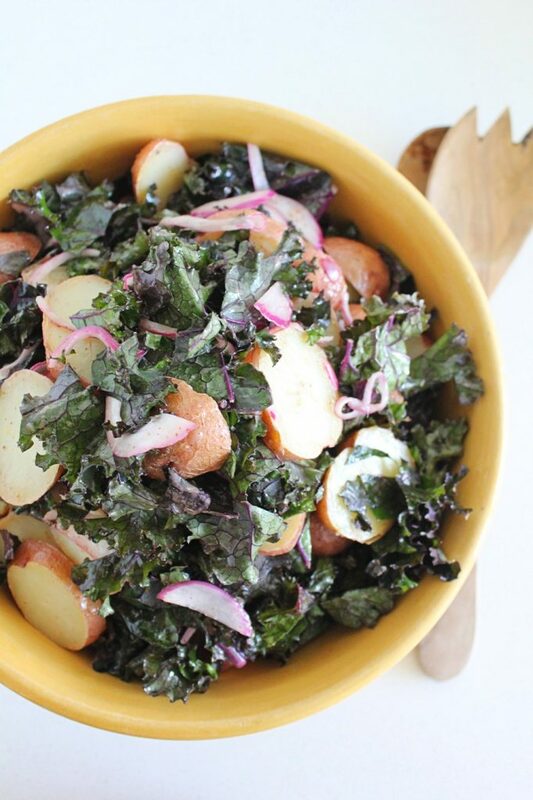 Toss the potatoes with the chopped kale and red onion slices. Top with homemade vegan parmesan cheese and serve.